Thursday, September 5th, 2012. 6weeks, 6days. I know I shouldn’t have, but I did it anyway. 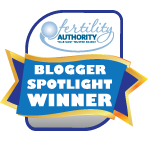 I really just wanted to find some success stories of other women who had inconclusive or just plain bad first scans, who then went on to have healthy babies. I found some of those. Lots, in fact. I also found some of the others. Have they been fading a bit each day? Have I been oblivious and blind with hope? I feel like maybe I had more symptoms at the very beginning. I recall being very scatter-brained from the start. I don’t feel that way so much now. I also remember being very, very tired. I’m still going to bed early, but I no longer really feel like I am going to pass out on my desk at 2pm every day. I had some pulling/twingey/almost-cramping feelings at the start, too. No longer. I also had that one occurrence of what I thought was “morning” sickness, just last Friday. Nothing like that since, and nothing before it, although I have felt that same feeling of over-fullness and near-nausea several times since then, particularly after eating. I’m still hungry all the time. My “girls” still hurt like someone is sticking red-hot knitting needles through them. I still have some random nausea, particularly in the morning before I’ve eaten or drank anything, and any time I brush my teeth. I am not ignorant, nor am I the type of person who can live happily in denial. If this pregnancy isn’t progressing, I want to know. If my baby is just a bit of a slow-poke, I’m fine with that. I really just want confirmation, and from the sounds of the other stories out there in Googletropolis, waiting is the only way to really know. I really despise Limbo. It’s the most painful place to be because there is no forward motion, no moving on. Sad, scared, and full of doubt. I’m trying to maintain hope, but it only comes in tiny increments. I am praying with every fiber of my being that Monday brings happy answers. I just need something. A scrap. A shred of information. I just need it to be Monday. 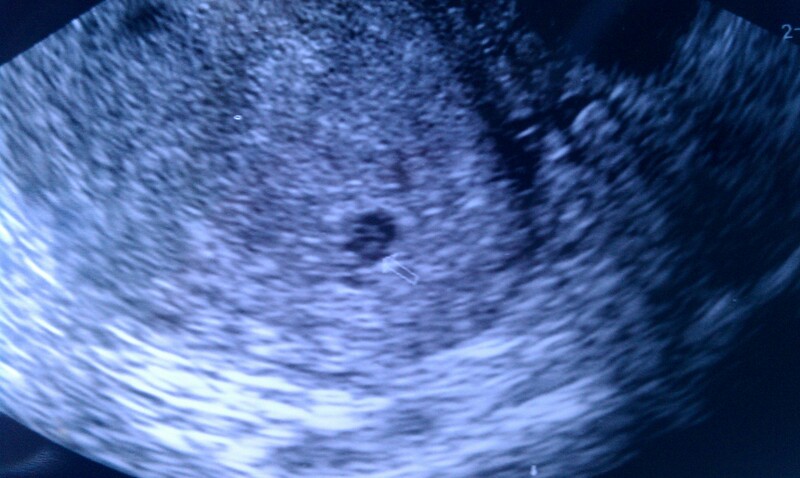 Here’s the ultrasound photo from this morning. I don’t see anything that looks promising. Nothing like the images out there showing an obvious gestational and yolk sac, fetal pole, and fetus. It’s going to be a long wait till Monday. The doctor didn’t see what he wanted. At first, he didn’t see anything at all. 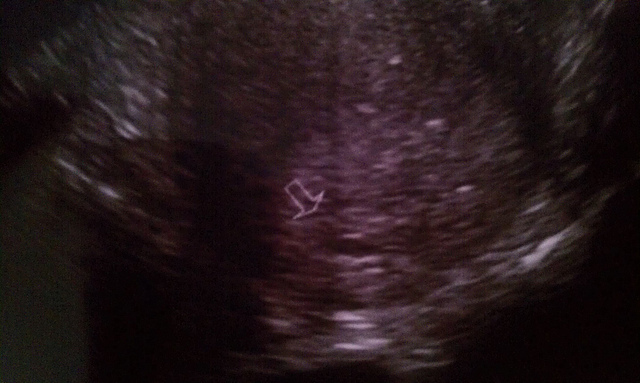 After a while though, he located something he thought was a gestational sac, although it was very small. He expected to see something measuring about 10mm today, but what he found barely measured 5mm. He expected to maybe even see the tiny flicker of a heartbeat. He wants to see me back again on Monday for a follow-up ultrasound, and if Gummy Bear hasn’t made it to 10mm by that point, I’ve basically been prepped on my options for miscarriage. I have a tiny picture. It’s sad and empty. I keep hoping my bladder was too full, or my uterus was too tilted. I keep hoping the doctor was wrong. He was nice about it, though… He gave me some small shreds of hope. His face told me what I needed to know, however. I’m preparing for the worst, and hoping for a miracle. Actually, preparing and hoping are on tap for tomorrow… for today, I’m just numb and sad and too upset to even eat my feelings.